In March 2014, the Ulster History Circle erected a plaque to the Rev Henry Montgomery who founded the Shankill Road Mission in 1896. 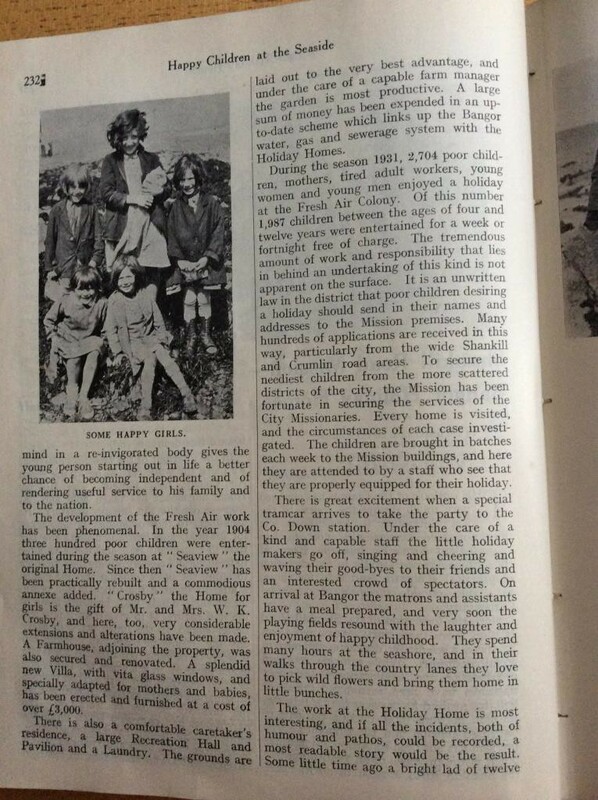 See our previous post about the event..
One aspect of the work of the Mission was to provide holidays for poor children and for young men and women who lived in in the Shankill area of Belfast so that they could enjoy the fresh air at the seaside. 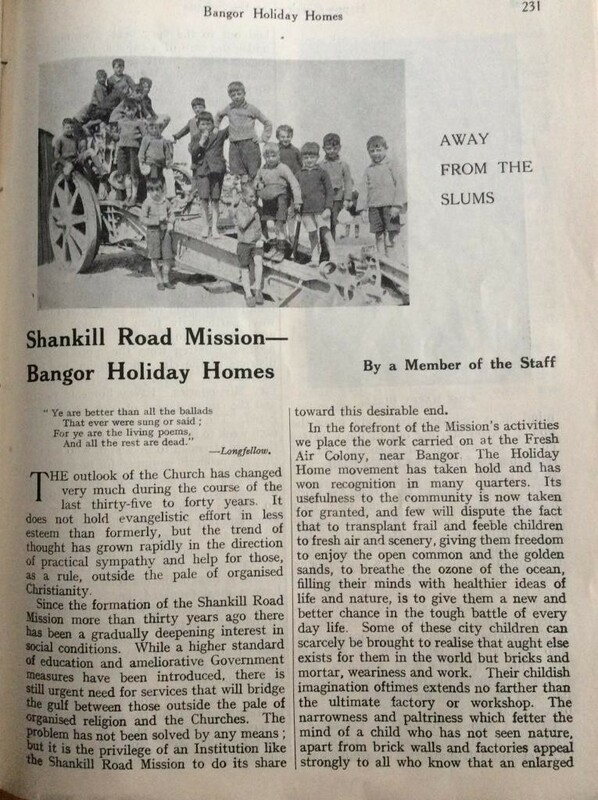 Holiday homes were erected in Bangor known as the Fresh Air Colony (possibly aka the Shankill Village). 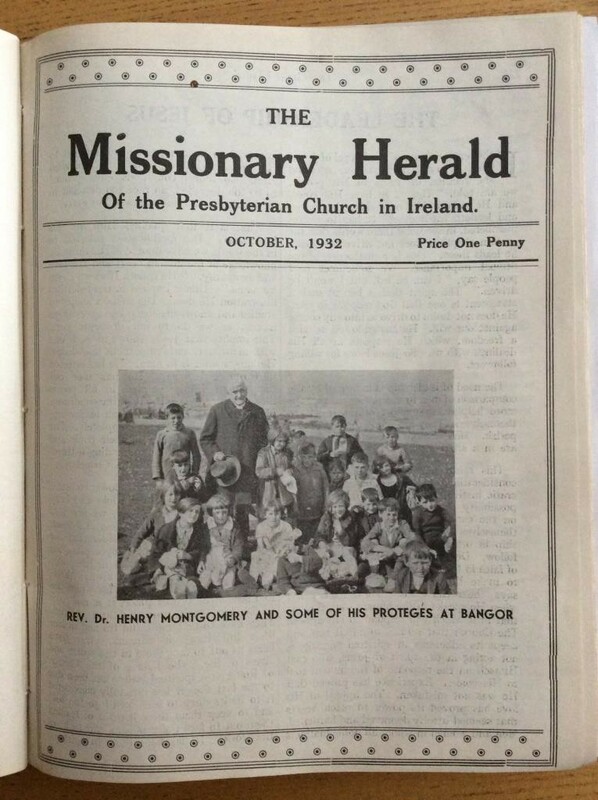 This article from the October 1932 edition of the Missionary Herald vividly describes this sphere of work of the Mission. 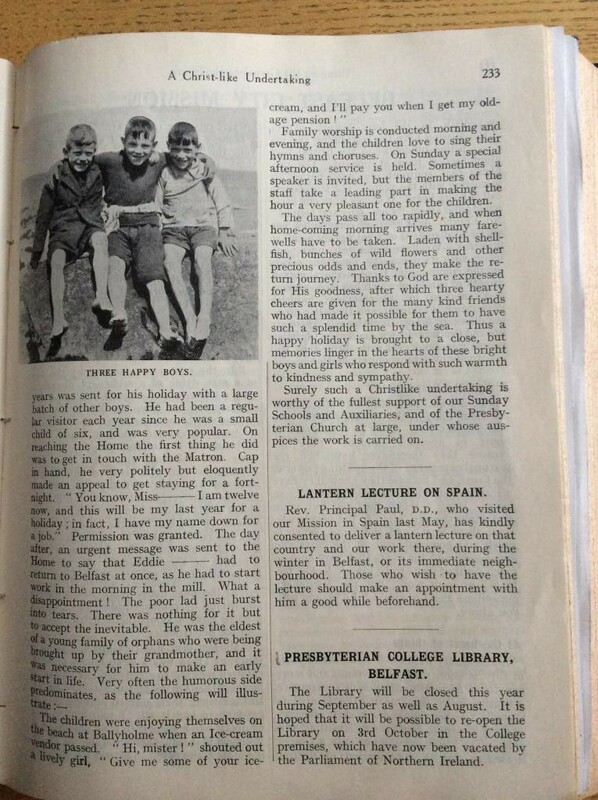 The Missionary Herald 1827-1942 archive is held by the PHSI.